Alex, Approximately is another one of those student suggested books. Again, by a tenth grader (I'm glad they're reading, but I wish my other classes would suggest books!) This time, though, I told the girl she was nuts. There was no way I would like this book. Nevertheless, she persisted. So, I took it home. I cuddled up under the heaviest blankets I could find in my apartment and read the first two chapters. I fell asleep before the second one was done. The next day, I brought the book back to school and promptly handed it back to my student. Again, I insisted that she was wrong and that this just wasn't the right type of book for me. Again, she persisted. "No, Ms. J! Seriously! You have to give it like six more chapters! You have to try more. It was so bad in the beginning for me too but it gets soooooooooooooo much better!" How the heck do you say no to a high school student with bright eyes begging you to finish a book, no matter how much you hated the first two chapters. Well, I couldn't. Maybe there's just a better person for the job? Anyway, the moral of this story is to listen to your students. Apparently, mine know me better than I think they do. 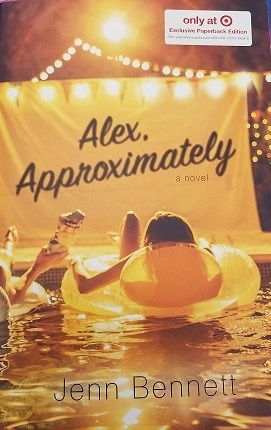 Despite its slow beginning, Alex, Approximately was a rather delightful read. Once the story really gets rolling, it's difficult to put it down for even a moment! Bennett makes her audience want to read and read and read and read some more! Bennett introduces her audience to a remarkably dull world in which a plethora of exciting things happen. I love that she chooses to include a variety of museums in her writing! Not only does this idea bring a new perspective to "dry" and "boring" museums, it introduces the kids to some other places that they may like to explore! I love that Bennett is able to confront kids with this new idea in such a fun book! Bennett also has a remarkable talent for truly bringing her characters to life. She is unafraid of showing both men and women at their best and worst. She shows them when they're terrified, when they're in love, and when they are laughing and happy with friends. My favorite character was definitely Porter. He was such a gentleman and the way that he cares so much about Bailey really touched my heart. However, the end of this novel was rather hastily wrapped up. I believe that Bennett had the opportunity to do so much more with this book and she let it fall to the wayside. Overall, this was a very cute book. I definitely recommend it to fans of Stephanie Meyer or Gayle Forman. Before I begin my review of this novel, I have a little story I'd like to share with you. That story begins with an unusual friendship. Now, don't get me wrong, I love my friend. She thinks I''m pretty neat too. But we COULD NOT be more opposite when it comes to what we like to read. Typically, I will go for the stranger, more fantastical books. My friend, however, will always opt for the more comfortable, less frightening ones. When she handed me a Christmas book to read and was certain that I would enjoy it, I thought she was out of her ever-loving mind. But, I figured that my friends know me pretty well so at the very least I could give it a try. I went into this novel expecting a slow-paced, pastoral description of the holiday. I am so glad that I was wrong. As soon as I began the novel, I fell instantly in love with Griep's writing style. She is not afraid of following Dickens' entrancing style and she did not shy away from doing her research to ensure that she depicts the setting as accurately as possible. Additionally, Griep wrote her characters masterfully. Not only do their names add to their personalities, they do not waver from who they are. Each character has a very specific set of characteristics and Griep made certain that her characters followed these qualities. Typically, I like to see change throughout a novel as the characters grow. Griep did this in a unique way. Instead of having their personalities completely change, they were simply modified by new information and that made all of the difference. This is an especially effective technique near the end of the novel as the final surprises are revealed. Benjamin Lane was most definitely my favorite character. I adored his sense of chivalry and the way that he loved Clara despite all of their hardships. To him, she wasn't just a prize to be won over. She was the best thing that had ever happened to him. She was the light in his eyes and his reason for enduring any pain or overcoming any obstacle that was put into his way. It was a wonderful change of pace from today's society to see a man who truly loved with his heart and mind instead of his....er...little man. 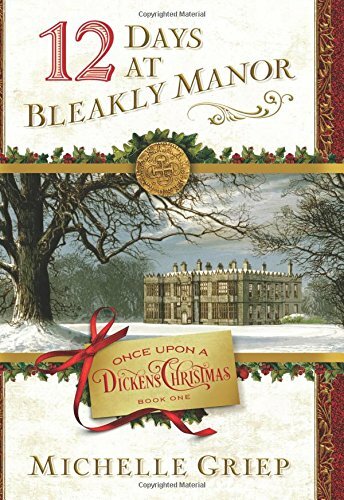 I absolutely loved this novel and am looking forward to reading it every Christmas. Most of the time, I spend my time as a teacher encouraging my students to read certain books. Then, there are the other times that my students encourage me to pull one off of the shelf and get busy. 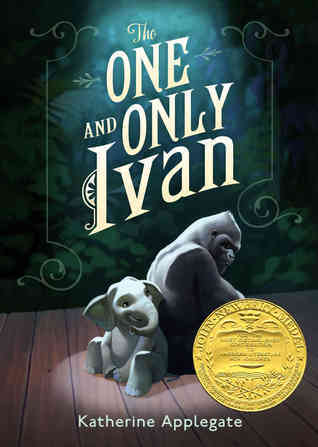 The One and Only Ivan was recommended to me by a sophomore boy who loves a good story. I knew that if he was suggesting it, I was in for a good time. Within the first ten pages, I was hooked. I simply did not want to set it down for anything. In fact, I woke up one morning with this book open and spread out over my face. I swear, I was only up until midnight (which is late in the life of a teacher). The first absolutely stunning aspect of this novel was Applegate's ability to get into the mind of a gorilla. After looking at a variety of photos, it is obvious to me that Applegate is, after all, human. Getting into the mind of a different person is difficult enough, let alone getting into the mind of a different species altogether! And she did the right amount of research necessary to be able to bring some of the more instinctual and intellectual aspects of a gorilla to life. I would not be surprised if Applegate's gorilla persona accurately portrayed what the real Ivan was thinking! Once I was stunned by this portrayal, she stuck her mind into two elephants and a dog! Nicely done, Ms. Applegate! I will warn you, however, that an entire box of tissues is required for reading this novel. Not only is there one especially unexpected sad part (Boo!) there is a very happy part that had me in tears as well. 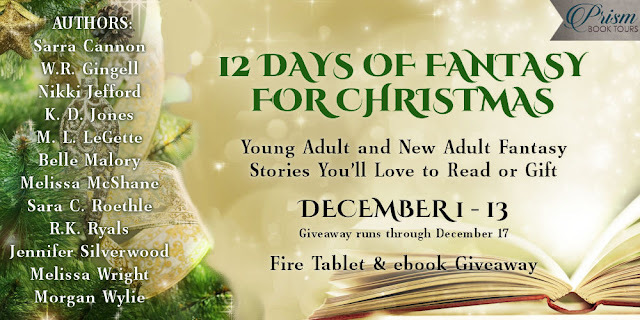 Applegate knows how to play with her readers' emotions and does so unabashedly. 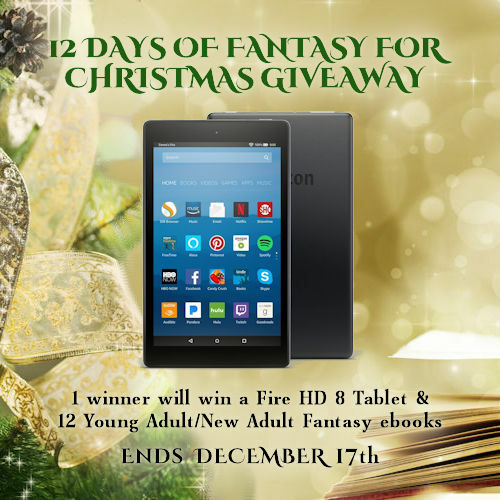 12 Days of Fantasy for Christmas! Willow North is a thief, and despite her secret magical talent for sensing worked metal, she has never wanted to be anything else. But when her former fiancé appears on her doorstep with the eight-year-old King of Tremontane in tow, she is drawn into the political conflict surrounding the boy King's ascension. His uncle, a powerful Ascendant with the magic of manipulating the elements, murdered the old King and intends to kill young King Felix. Willow intends only to take the boy to safety, but as the days pass, she finds herself increasingly attached to Felix and unwilling to leave him once he's safe. 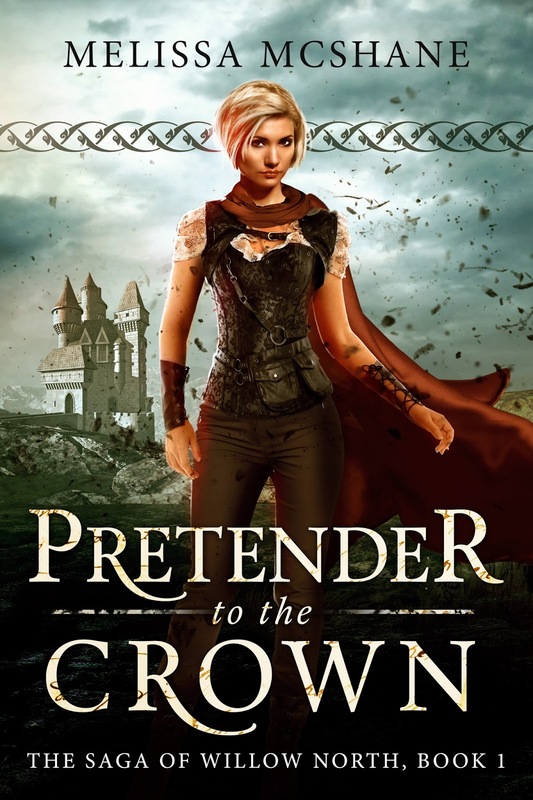 But the pretender to the Crown has a long reach, and as his men close in on the fugitives, it seems nowhere may be safe. I don’t remember when Willow became a real character. Certainly by the time I wrote Rider of the Crown (second book in the series, third written) because I had to go back to Servant of the Crown (first book, second written) to insert Willow and her history. At that point, she was an important figure in Tremontanan history, but I knew no more about her than that. But she had captured my imagination. I love stories about rogues, and making Willow a thief satisfied that interest. But Willow had to be more than that; she had to be someone who could lead others. Willow starts the book a loner, focused on her work and disconnected from almost everyone around her. Throughout the course of the trilogy, she discovers she cares deeply, not only about her friends but about her country as well. Willow also has magic in a time when the country of Tremontane is ruled by magic-wielding tyrants called Ascendants. Her relationship with magic is complicated: no one can learn she has magic, or she’ll be forced to become an Ascendant, but she depends on her magic, the ability to sense worked metal, for her living. Willow’s talent was my husband’s idea, and it’s the perfect ability for a thief to have. It’s taken years for Willow to go from being a throwaway line to being the main character of a trilogy. I hope readers will find her as fascinating as I do. 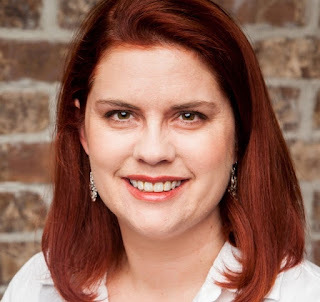 Melissa McShane is the author of several fantasy novels, including the Crown of Tremontane series, beginning with SERVANT OF THE CROWN, The Extraordinaries series, beginning with BURNING BRIGHT, and the trilogy Convergence. After a childhood spent roaming the United States, she settled in Utah with her husband, four children and a niece, two very needy cats, and a library that continues to grow out of control. She wrote reviews and critical essays for many years before turning to fiction, which is much more fun than anyone ought to be allowed to have.